Check out the below gallery for an idea of who we work with. Don't see the person you are looking for? Drop us an email, we have direct access to pretty much every English speaking Youtuber/Twitch streamer on the planet. Over 4.5 million total audience. 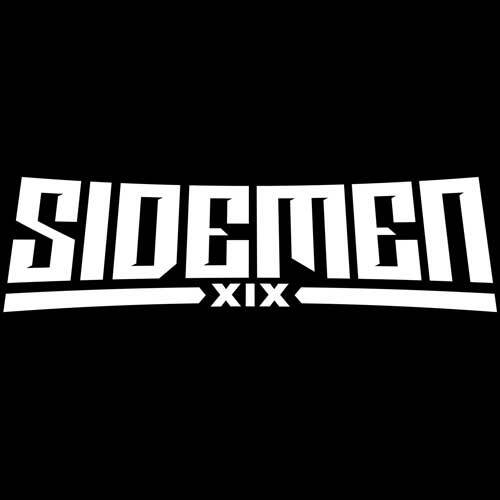 The Sidemen are one of the biggest ‘YouTuber Groups’ in the world, with a combined audience of over 100 million fans across all platforms. 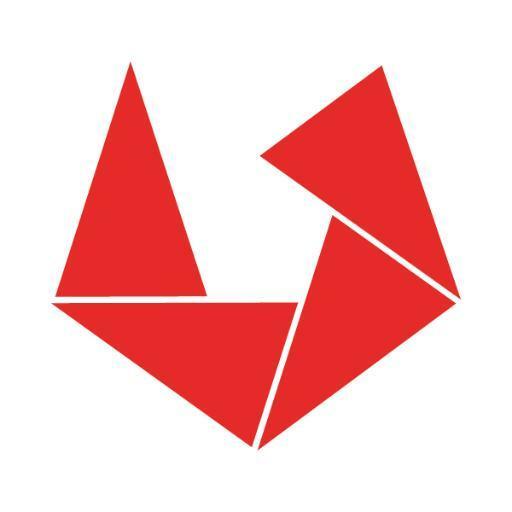 Upload Agency are the business management team for The Sidemen, helping them in many ways, including brand deals, event management, concierge, Sidemen Clothing, band collaborations and much more! 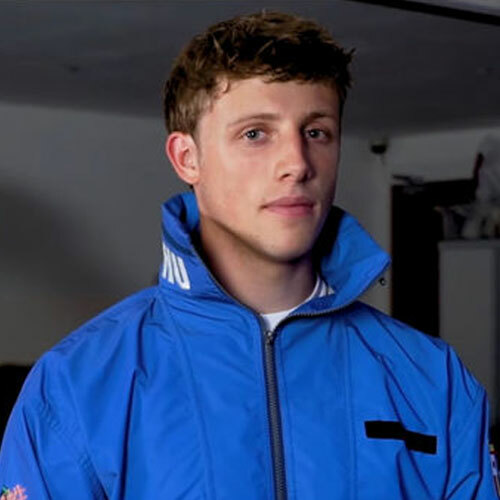 Wroetoshaw is one of the biggest sporting YouTuber’s in the world, with almost 12 million subscribers on his main channel, and 1 million followers on his gaming channel. Wroetoshaw ( real name Harry ) posts FIFA content, IRL football content, as well as pranks and VLOG’s, with average videos views which surpass most other UK influencers. 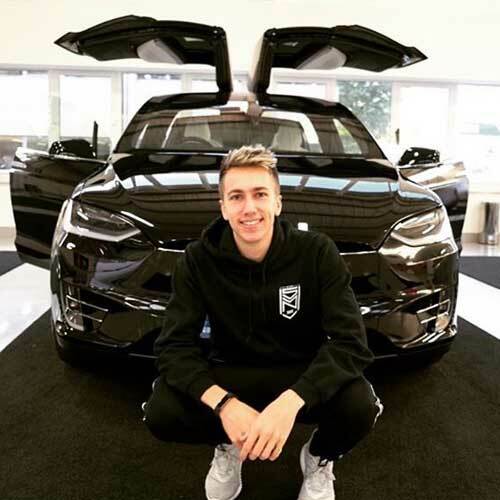 Simon, AKA Miniminter is one of the fastest growing Youtuber’s in the UK and recently voted in the top 10 most influential creators in the UK. His Instagram has over 2.5 million followers and his Twitter is followed by over 1.8 million tweeters. Simon posts mainly VLOG content on his main channel, with a slant towards football. He has over 6.8 million subscribers on his main channel and just over 3 million subscribers on his gaming channel. 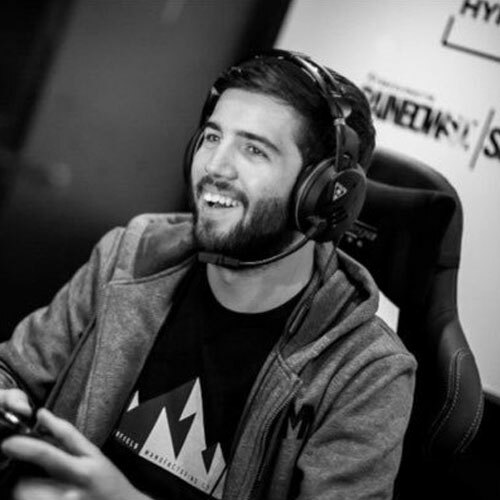 Vikkstar is a gaming YouTuber and member of The Sidemen. 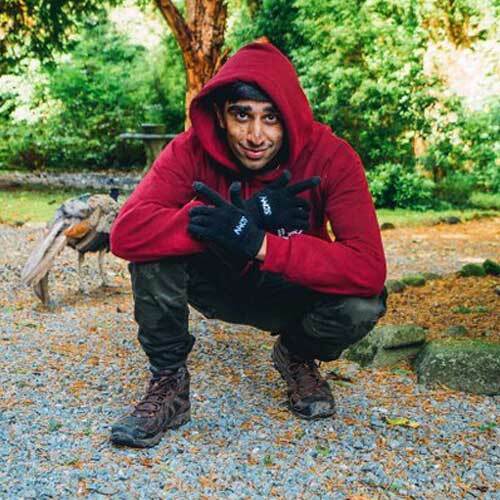 Across his 3 channels which cover most genres’ of gaming, Vik has amassed over 8 million subscribers. As well as this, Vik has a huge audience on Instagram and Twitter. Ethan produces entertaining FIFA and Real Life videos that capture the imagination of his audience, earning him a prolific following. As well as his main channel with 2.7 million subscribers, Ethan also has an established gaming channel with over 1.4 million subscribers! On his main channel, he mainly plays FIFA and uploads VLOG’s and content with his Sidemen friends. Over on his gaming channel, you’ll find GTA, CoD and other games. 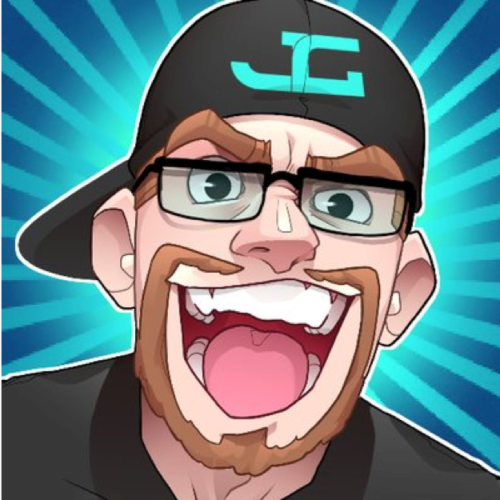 YouTube sensation known as Comedy Gamer who creates videos that incorporate a unique blend of comedy, gaming, and family pranks. He’s also uploaded challenges and reaction videos. 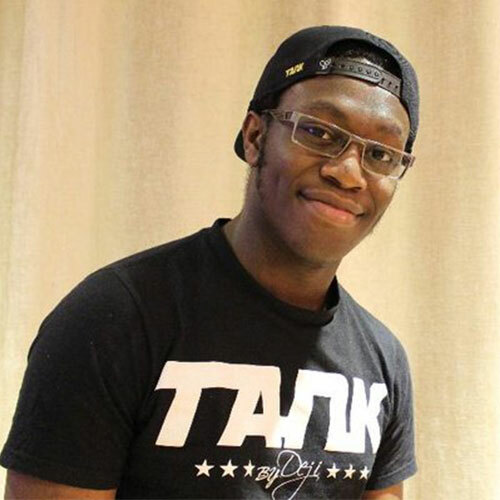 Deji has nearly 9 million subscribers on his main channel and a huge audience across Twitter and Instagram. 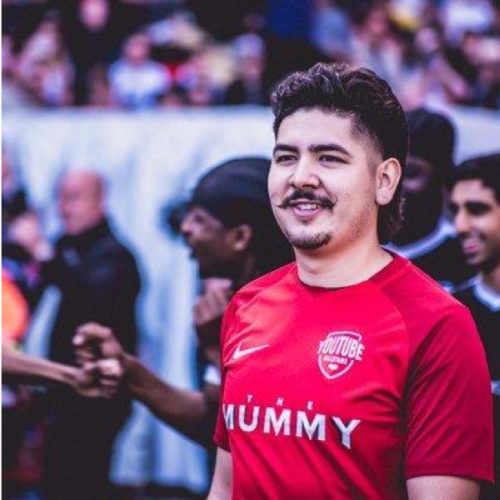 Manny is a FIFA gamer who publishes his content to his self-titled main channel where he has over 1.4 million subscribers. 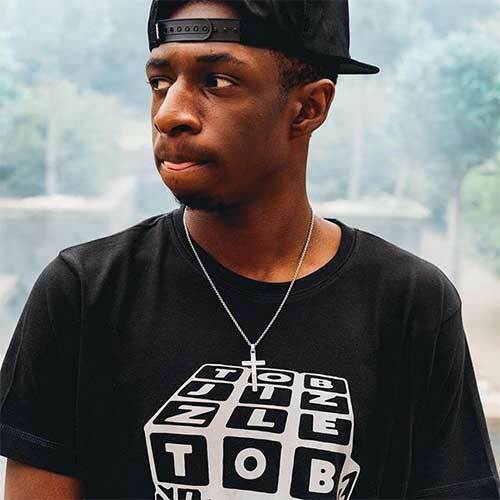 Manny is the brother of Sideman Tobjizzle, and regularly collabs with The Sidemen, meaning he shares a very similar audience. Manny also uploads other IRL football videos and challenges as well as his second channel MannyPlaysHD where he posts various game play videos. 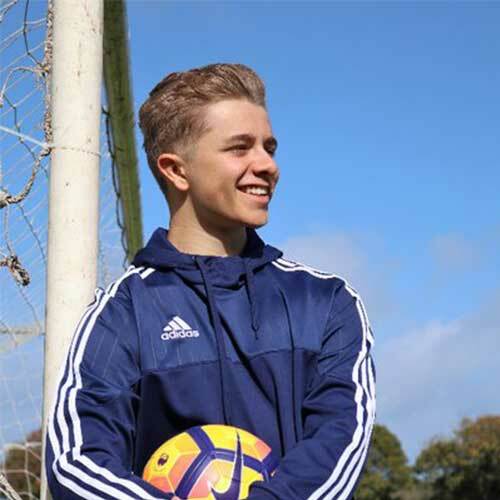 ChrisMD is one of the largest football-related influencers in the world, with over 3.8 million subscribers on his main channel and over 600 million video views! As well as his huge audience on YouTube, Chris also has a substantial following on Twitter, Instagram and Snapchat. 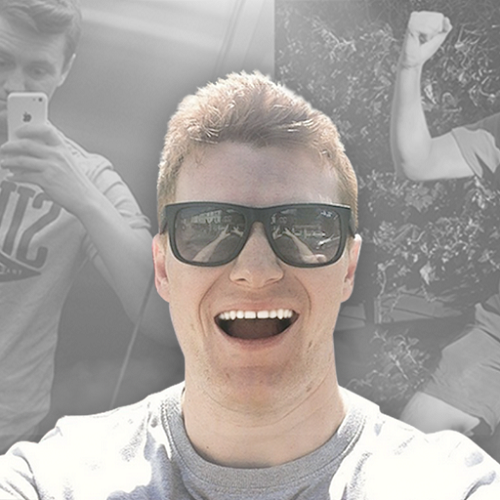 First launching his channel in 2013, UK born YouTuber JMX has now accumulated over 2.5 million subscribers across 2 channels with his FIFA Gameplay and IRL content. His total audience sits at almost 3.5 million across Twitter, Instagram and Snapchat. 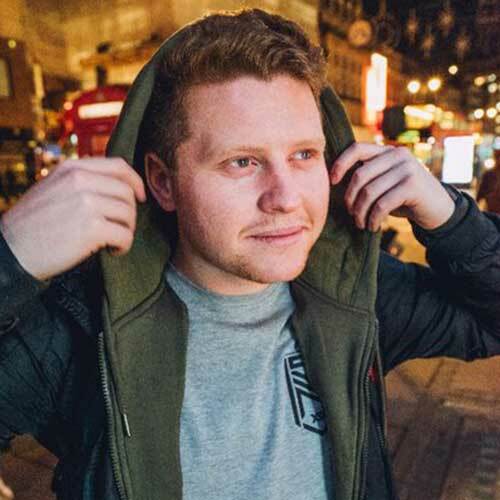 With over 2 million subscribers across his main and second channel, The Burnt Chip, Fifa and Comedy YouTuber, is fast becoming one of YouTube’s favourite contributors. 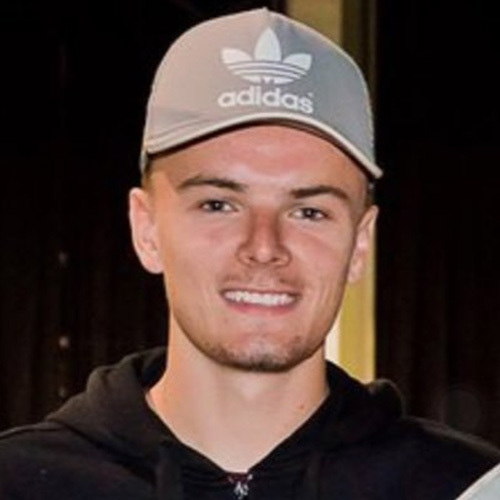 Hailing from Manchester and his FIFA and football based content have earned him an impressive combined following of over 2 million followers and growing. 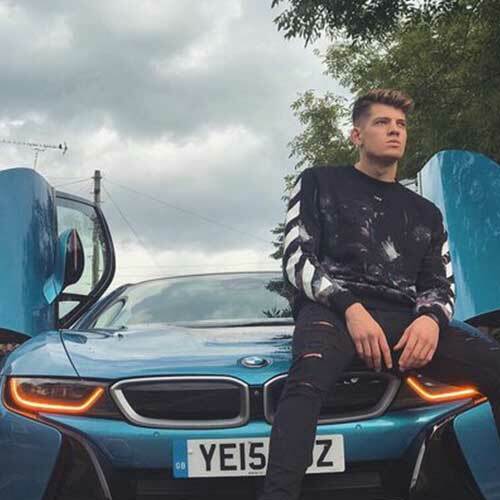 Calfreezy has a significant following of over 3 million subscribers on his 2 YouTube channels as well as over 2 million followers on his social media platforms, which contributes to one of the largest followings in the football influencer community. Rossi is an English content creator, with a primarily FIFA based channel. Rossi also has over 200,000 followers on Twitter. His two YouTube channels to date has received over 150 million views from his 750,000 subscribers. 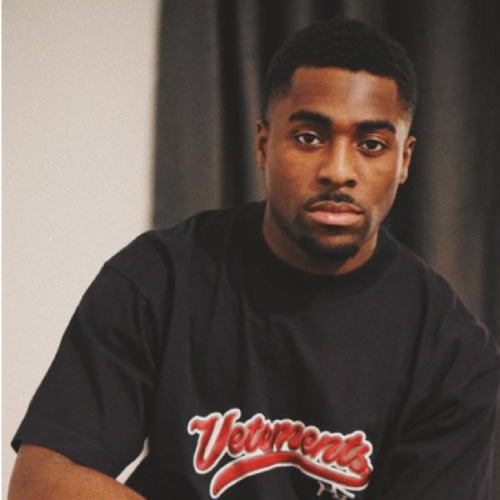 Parris otherwise known as Monstah or FIFAMonstah is commonly witnessed shouting at FIFA, Vlogging and sharing anecdotes through his “Storytime” web-series or performing his latest raps. His reach includes over 300,000 YouTube subscribers and nearly 57K Twitter followers. UK based FIFA YouTuber, Capgun Tom launched his channel back in 2008 and reached a milestone 1 million Subscribers in August this year. He now has in excess 1.1 million subscribers over two channels and has a social media following of around 400k. 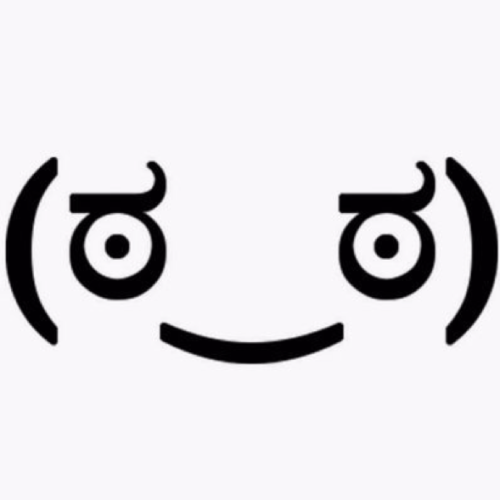 MomoFIFAHD is a Youtuber based in Dallas, Texas who primarily uploads FIFA content. 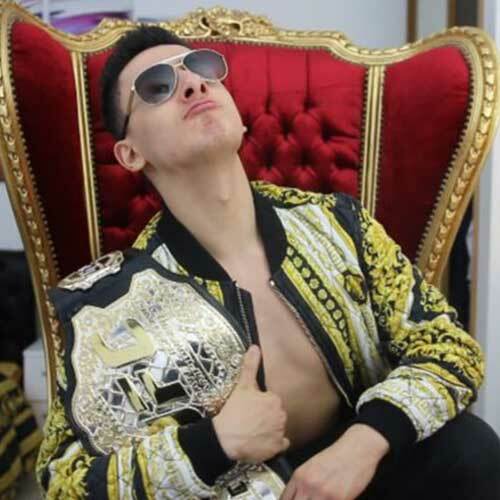 Momo has 1.4 million Youtube subscribers on his channels and is one of the largest American Youtubers in the FIFA community. 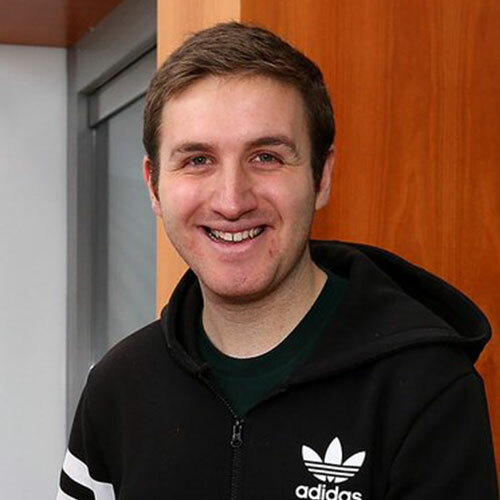 Matthew Craig, better known by his YouTube username MattHDGamer is an English Fifa Youtuber from Liverpool. He airs a new video every day, varying from Fifa let’s plays and squad builders to vlogs or gaming videos with his Fellow-YouTuber girlfriend, Rachel. To this date, Matt boasts over 2.2 million subscribers on YouTube. AnesonGIB is a FIFA gamer on YouTube whose FIFA content consists of pack openings, challenges, ultimate teams and more. He launched his channel in 2012 and has since amassed over 1.4 million subscribers, as well as an audience of over 500,000 on Twitter, Instagram and Snapchat. ArsenalFanTV is the No.1 Fan Channel on YouTube with 398,964 subscribers, 8.32 million Twitter followers and over 37 million likes on Facebook. It was set up by Arsenal Fans for Arsenal Fans. ‘We get fans reactions to each game and show and talk about all things Arsenal. Sacriel, a lifelong gamer. His channel hosts one of the most well-known and respected communities on Twitch, known as the 42nd, which has over 200,000 followers. 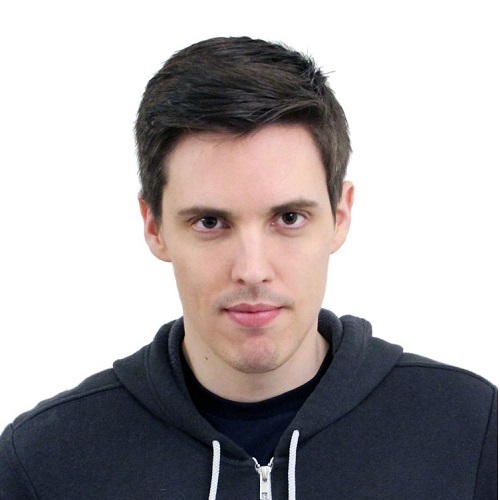 Sacriel’s reach includes over 100,000 YouTube subscribers and 70,000 Twitter followers. LT Zonda is one of the UK’s biggest Twitch streamers, with over 300,000 followers, as well as a significant following with 83,000 YouTube Subscribers, 80,000 Social Media Following & a mighty 346,000 Twitch Audience base. Typical Gamer is a Canadian Youtuber, who live streams and uploads content daily. 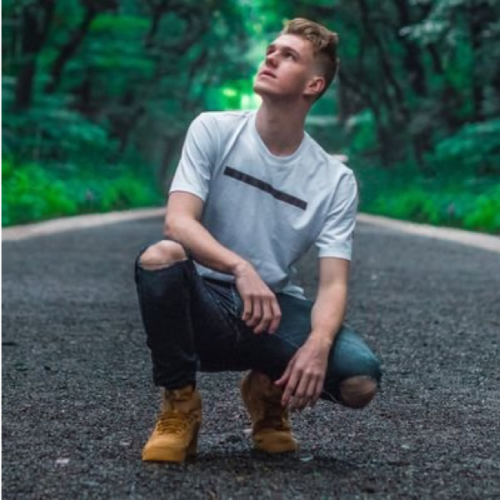 With over 6.4 million subscribers and almost 1.5 billion video views, Andre is one of the largest Canadian Youtubers and also has huge followings in both the USA and the UK. Since 2004, James has demonstrated his passion for producing unconventional content in a way that has never been seen before. Throughout his work, his talent and positive attitude towards life is obvious. 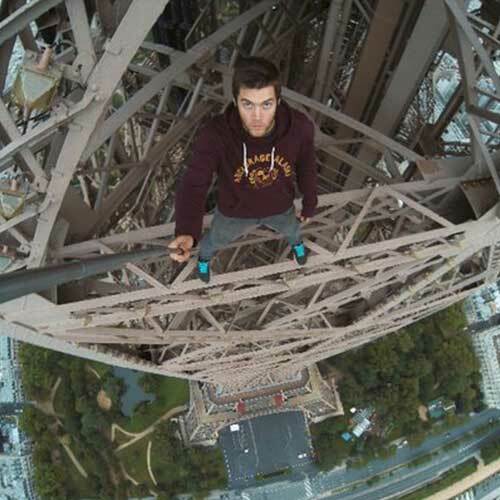 James travels the globe climbing some of the worlds tallest structures, uploading the extreme POV videos to his channel with over 600,000 subscribers. He also has a growing gaming channel with 10,000 subscribers. 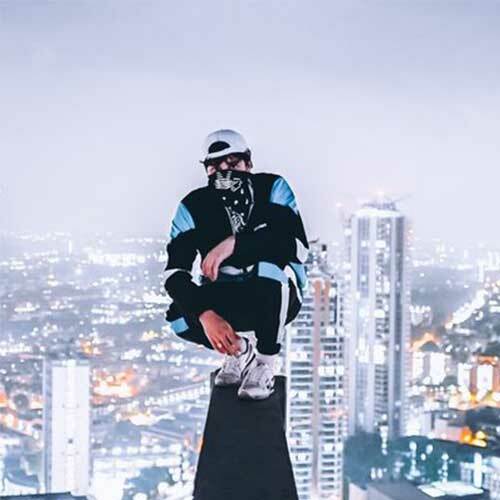 Nightscape urban explorer and photographer who gained fame on both YouTube and Instagram with his explorations of places that not many others would dare to consider. Nightscape currently has 800,000 subscribers on YouTube and continues to grow each day, with over 1 million fans across all platforms. Jay Swingler and Romell Henry, more commonly known together as TGFbro, are a pair of British YouTubers that make comedy and prank videos. Jay and Romell are from and live in the town of Dudley in the West Midlands, just outside of Birmingham and upload crazy pranks and challenges to their audience of over 3 million. Claira’s playful personality has seen her present online music portal Officially Grime Daily, SBTV and Holymoly. HolyMoly! snapped her up as their red carpet presenter where her blunt and energetic personality saw her asking celebrities entertainingly inappropriate questions.Claira regularly presents radio shows for BBC Radio 1xtra and keeps herself super busy creating, filing and editing youtube videos for her quickly growing channel which currently has over 58,000 subscribers. 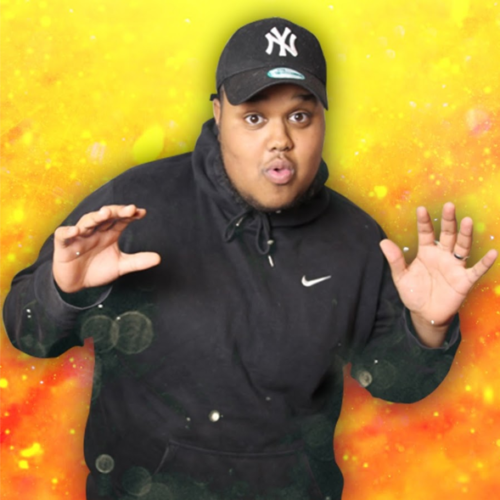 Chunkz, real name Mohamed Abdillahi, is an English YouTuber and rapper who is most famous for the rap battles he posts on his channel ‘Chunkz’. In addition to these battles, he has gained fans and a loyal following with his many challenges, pranks, and videos in his #MANDM series. He currently has 315,274 subscribers. 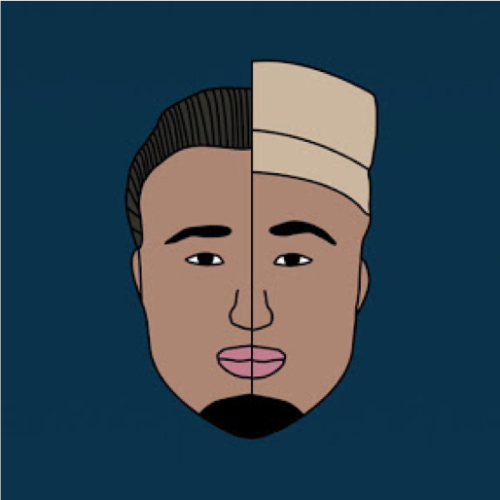 He labels himself as a part time rapper, part time creator and full time entertainer. He formed the Youtube group MANDM with his friends and fellow Youtubers afcSharky and AJ Shabeel. 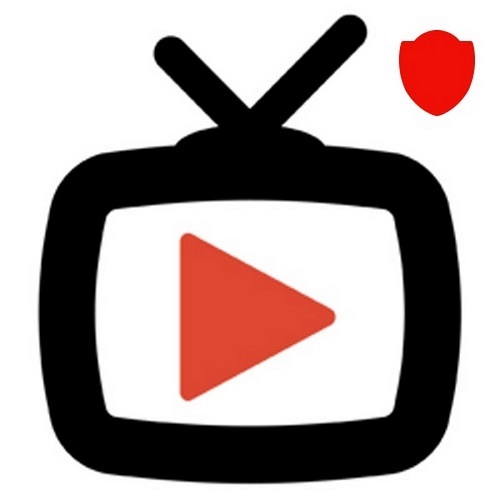 Joining Youtube on the 23rd July 2015 he currently has over 29,252,224 views to date. Garrett best known as JoblessGarrett is a YouTube gamer mainly posting Grand Theft Auto 5 gameplay, tutorials and roleplay, as well as other various multiplayer games and the occasional vlog. Garrett currently has 1.4M subscribers with 248M views on his channel. Ade Akinfenwa best known by his nickname ‘The Beast’, is an English professional footballer who plays as a striker for Wycombe Wanderers. 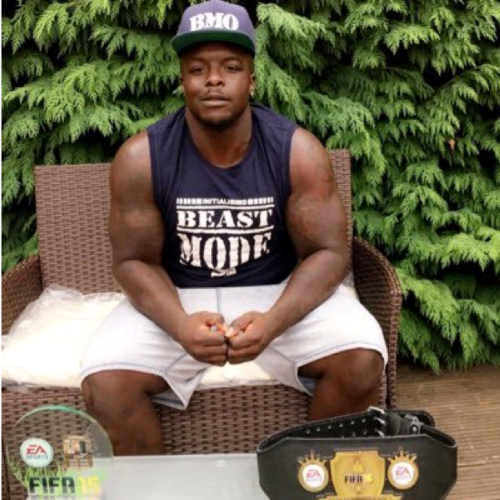 Ade has become well known for being ranked as the strongest footballer in the world in various editions of the FIFA series and also has a number one best selling autobiography ‘The Beast: My Story’ as well as his Beast Mode clothing line. He currently has 283K subscribers on his YouTube channel where he posts mainly about football, fitness and food; as well as collaborating with many big YouTube stars, earning over 10 million views currently on his channel. 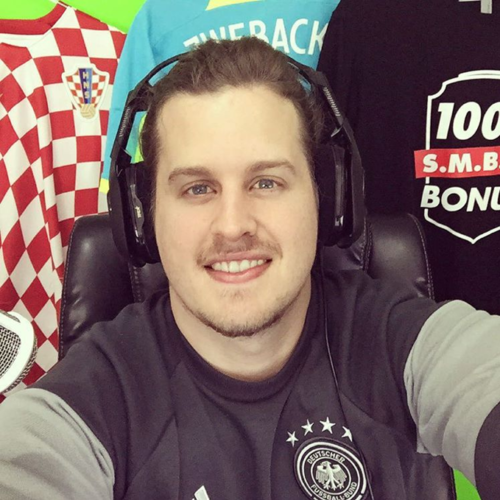 Zweback is a Pro FIFA Player and YouTube content creator with over 900K subscribers. On his channel ZwebackHD he uploads comedic FIFA 17 Ultimate Team content, with his videos getting 253m views to date. He also has a second channel ZwePlays where he posts a variety of games ranging from GTA 5 next gen, COD Advanced Warfare, Minecraft, Outlast and many more! This channel currently has over 48K subscribers. 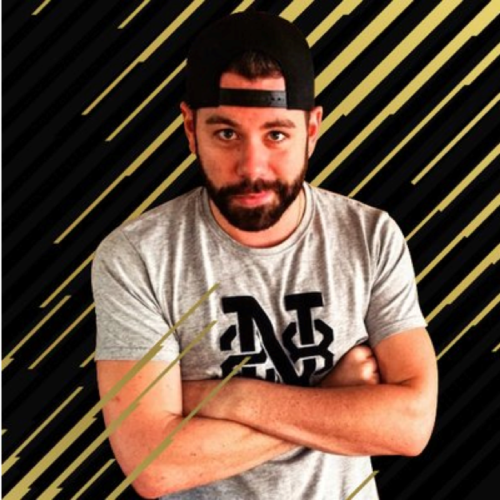 Nick AKA Nick28T is a gamer YouTuber, labelling himself as a massive FIFA Ultimate Team addict. He also has his own clothing range N8 Apparel sporting his famous Nick logo. On his channel, which currently has 601K subscribers, you will see lots of gameplay footage of FIFA 18 on PS4 and XBOX1 and Virtual Pro Clubs, Pack Openings, Live Wagers and Road to Glory series. At present he has just over 199M views on his channel. 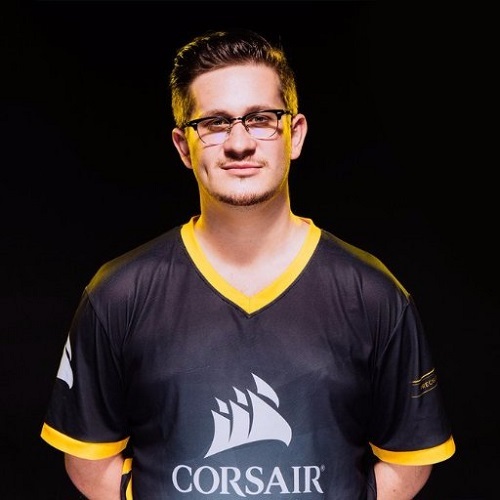 Lachlan is an Aussie gaming YouTuber mostly known for his Pixelmon, How to Minecraft and Pokemon GO series, as well as posting various gameplay videos. He currently has 3.6M subscribers on his channel and 650K subscribers on his second channel, LachlanPlayz where he posts gaming content that isn’t his usual Minecraft content. Mike fox is a comedic YouTuber mainly known for his pranks, challenges and reaction videos. He currently has 1.3M subscribers on his channel with an amazing 122M views. In recent events he fought friend and fellow YouTuber JMX in the undercard of the eagerly anticipated KSI v Weller boxing fight. 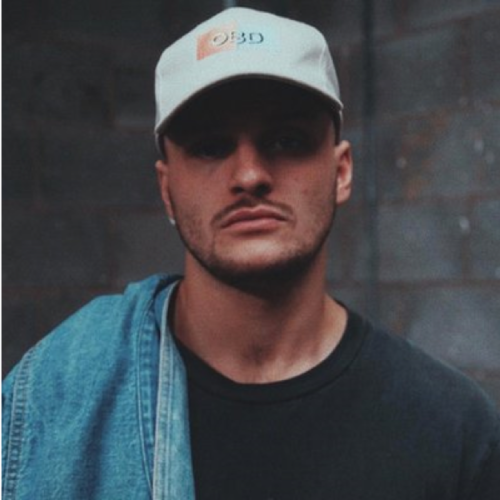 Jay Swingler is a comedic YouTuber, best known for his popular channel TGFBro which he runs alongside his friend Romell, posting funny prank and challenge videos. The channel currently has 3.4M subscribers. He also has his own self-titled channel where he posts similar comedic content and occasional gaming videos, it currently has 894K subscribers with a total viewing of 16M. He also has a clothing line TGFBro store. 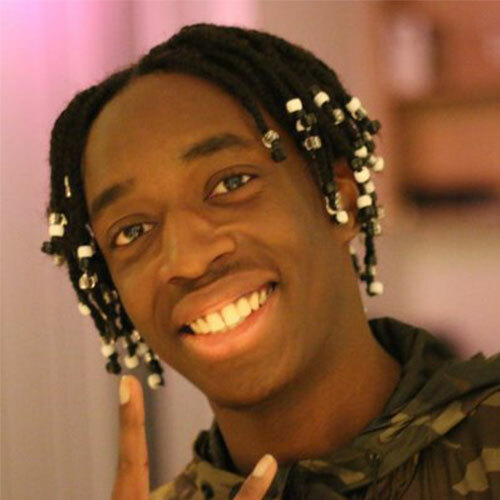 Romell Henry, best known as Uncle Romell and member of TGFBro which has 3.4M subscribers alongside friend and fellow YouTuber Jay Swingler. He also runs his own channel Uncle Romell which has over 563,000 subscribers with currently 4M views to date. His content ranges from challenges to pranks and comedy videos. Romell and Jay also have a successful clothing line TGFBro store from their popular and growing channel. Aspiring entertainer as an actor, musician, and dancer who runs a popular, self-titled YouTube channel where he publishes a variety of videos. His channel includes explorations of haunted locations, challenge videos, and cover songs. He currently has 578K subscribers with 79M views across his channel. In recent events he fought in the undercard at the KSI v Weller event at the Copper Box Arena in London, winning against fellow YouTuber Exploring with Josh. Ashley Marie is a female gaming YouTuber who mainly uploads gameplay mini series videos as well as various chatty lifestyle vlogs. 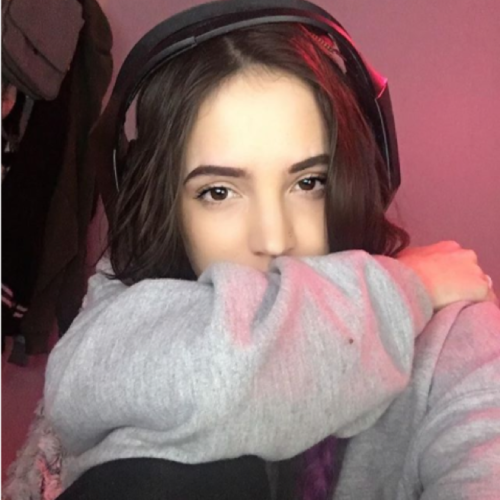 Her channel AshleyMarieeGaming currently has over 655K subscribers as well as a large social media follow such as her instagram account with over 611K followers. She also has a second channel AshleyMariee which has 9.8K where she uploads content based around beauty, travel and challenges. Edwin Castro AKA Castro1021 is a gaming YouTuber with over 900,000 subscribers. He is best known for his FIFA live streams and charity work. In 2015 he raised over $80,000 for a Cancer charity after a 50 hour Twitch livestream. He also played in the 2017 Sidemen FC vs YouTube Allstars charity football match. 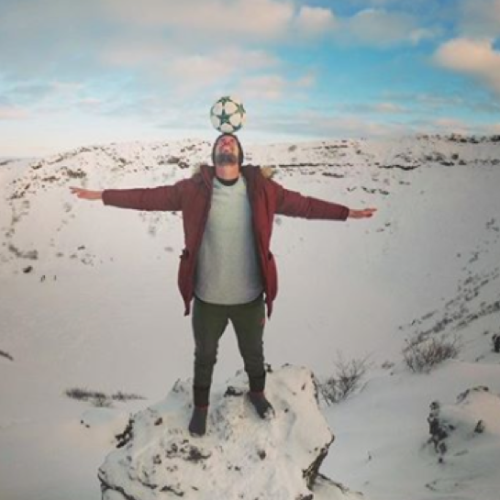 Daniel Cutting is a five-time world record holder as a professional football freestyler from London who showcases his skills and tutorials on YouTube. His content explores football in an entertaining and skillful way for both football and non football fans to enjoy. 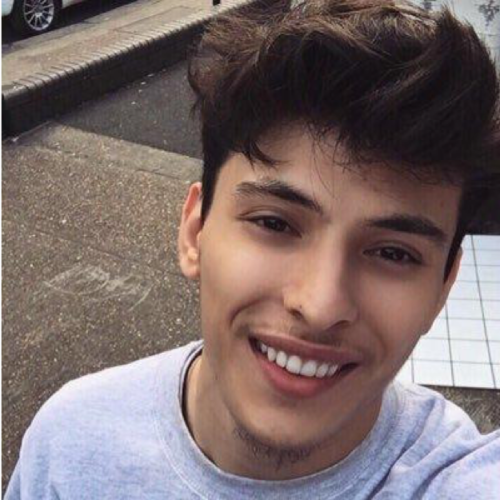 His channel currently has over 421K subscribers as well as his large followings in Twitter and Instagram with over 500,000 followers combined. 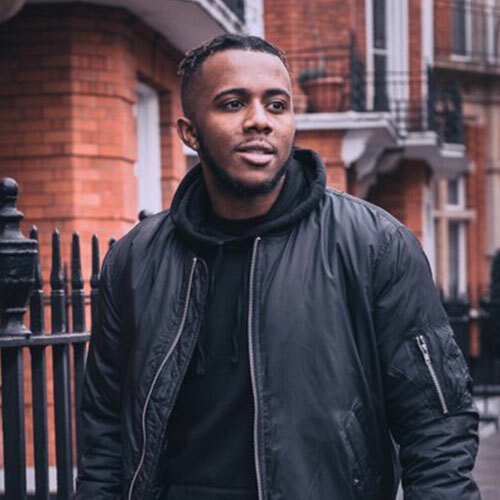 Alex Oliver Brooks AKA MarzBar, is a British vlogger/short film producer on his channel MarzBar and MarzBarVlogs where he posts day in the life, technology, gaming and comedy videos for over 1 Million subscribers combined. He also runs a tech channel alongside friend and YouTuber Jed Lilley called TechFlow. He launched his first and main YouTube channel in November of 2011, primarily a gaming commentary channel for Call of Duty and Minecraft. Chloe Constance is an Instagram star and influencer with over 57K followers and her posts reaching over 100K people. She also has a self titled blog where she writes mostly about lifestyle and advice. 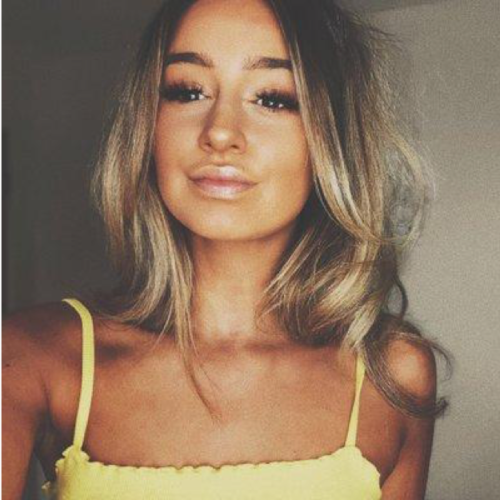 She is known best as the girlfriend of YouTube star Jay Swingler from the popular channel TGFBro. Chloe also has just over 18K followers on twitter which she actively updates. Her YouTube channel has over 2.3K subscribers which she has recently posted her first video. 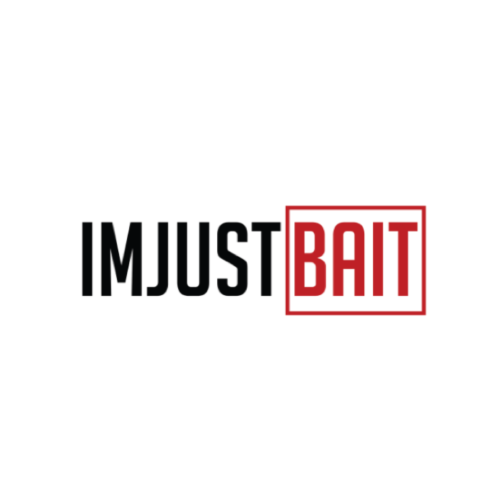 ImJustBait AKA Ant is an Instagram sensation with one of the biggest followings in the UK. 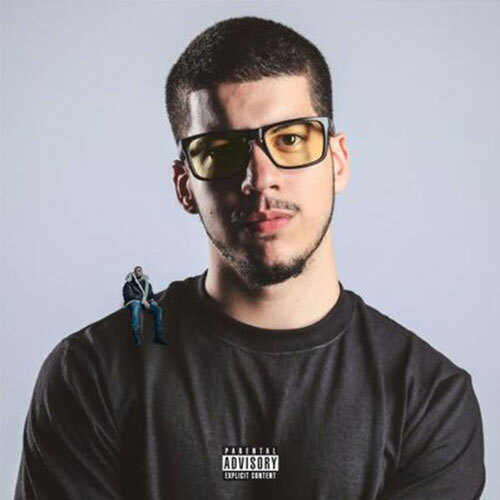 With over 1.6 Million followers and 100,000,000 impressions a week; Many of these include Drake, Giggs and a majority of the UK Grime scene. His posts include mainly comedic content including funny videos which get a lot of reactions from the public. 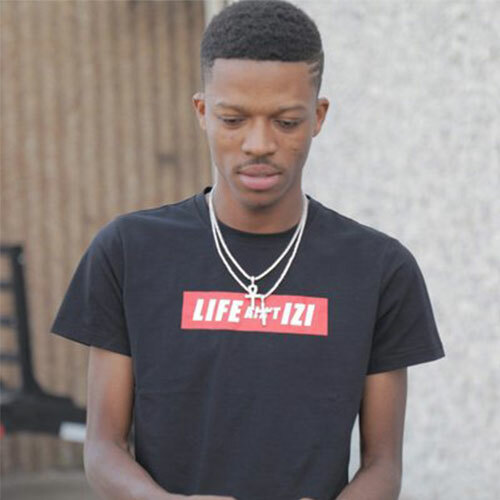 With the success of his instagram account he has also released an app which shares viral videos from across the internet as well as music and news updates. Hamad Khan, best known as ‘Ham’ is a comedic YouTuber notable for his parody music videos, sketches and reactions of other videos created by fellow influencers on his channel ‘Call me Ham’ which has over 53,000 subscribers. He has collaborated with fellow YouTubers TheBurntChip and WillNE. 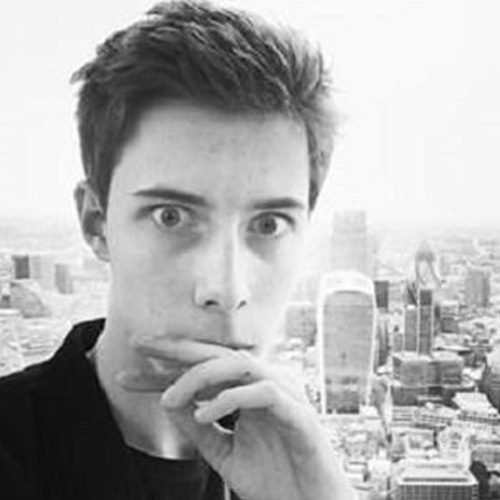 George Andrew, best known by his online identity ‘Memeulous’ is an English Youtuber whose channel grew a large audience through parodies, commentaries and absurd humour. 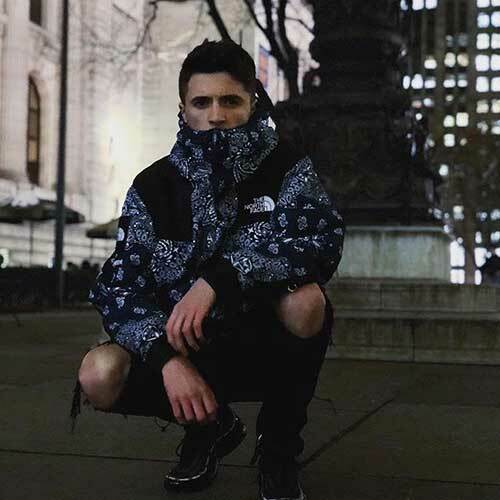 To date Memeulous has over 1.3 million subscribers as well has having a loyal following on his social media. 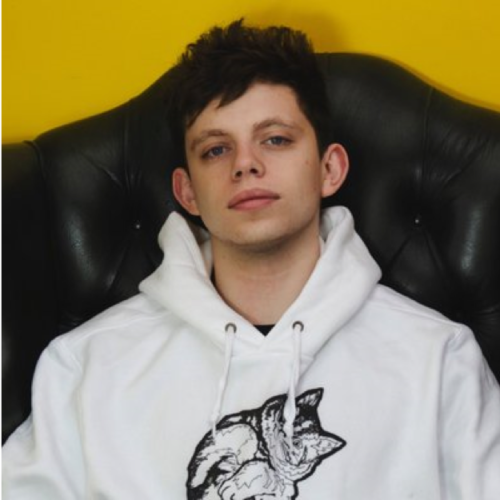 He began uploading to YouTube in September 2014 with his most popular video being his Harry Potter parody which has been viewed over 4 million times. 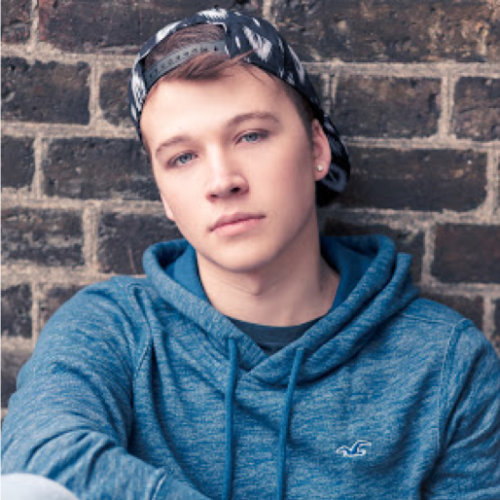 He frequently collaborates with YouTubers such as WillNE and Joshy.